Have you seen this Tumblr page? 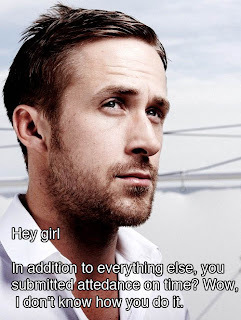 It was started by a student teacher to encourage teachers with pictures of Ryan Gosling (mostly) and little teacher messages. It mostly cracks me up but I totally added it to my Google Reader. That one about the attendance is my favorite because sometimes I feel like the only thing I did right that day was getting the attendance in on time! Haha!! Click on the picture to read more; I know you will love them. Another amazing thing today is that I attempted to do something cute with my hair! One of the 12 things I could have told you about myself is that I never wear makeup or do my hair. Au naturale, that is me. Really I am just too tired to care in the morning. I also use the excuse that no one ever taught me how to do makeup or hair. But I'm pretty sure that normal people just figure it out somehow. Anyway, through one of you amazing people, I stumbled across The Small Things Blog. This girl is the bomb dot com and I am going to try to commit myself to doing something with my hair at least once a week!! Today I attempted the "quick messy braided hairstyle" even though her Pinterest link is not working for me! 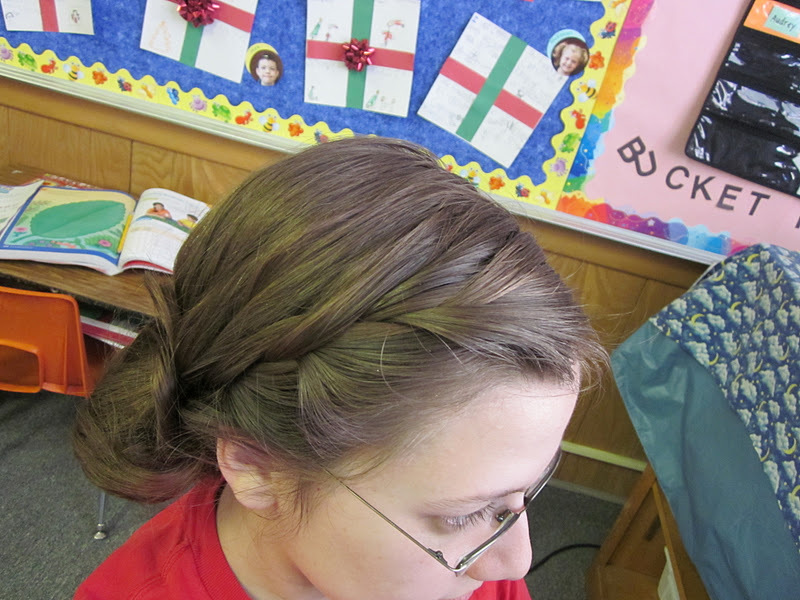 But I can french braid, so I gave it a shot. haha! I literally got a call from our attendance clerk every morning for the first week of school...whoops! Totally cute hair! Her hair tutorials are inspiring me to try to do something more with mine, too! A friend of mine posted that tumbler on facebook earlier this week and I love it! It's so perfect.